Welcome to my PlatinCoin review! This new business opportunity came to life a few months ago and spread immediately in circles of experts all over the word. 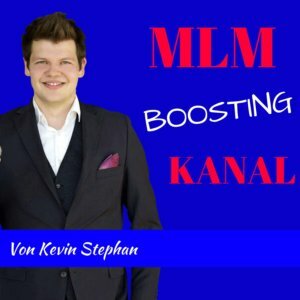 Although the company set a target of a few thousand registered partners before the official launch, something incredible happend. PlatinCoin attracted not only a few thousand people but over 60.000 members so far. In this brief overview we talk about the perspectives of Platincoin in longterm. Is the company a fail, or is it probably the best new business opportunity on the market? PlatinCoin review – legit or scam? 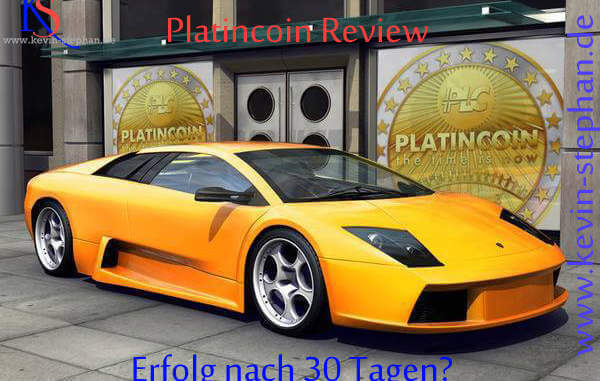 Platin Coin is a cryptoCoin released by the PLC Group AG in Zug (Switzerland). Since the founder of the company had the chance to observe other coins on the market before they started their own business, they raised CryptoCoins to a whole new level by improving the blockchain and making it both innovative and in terms of its practical value more useful. Furthermore the overriding aim of PlatinCoin is to create a practice-oriented system with no limits. The user community should not only be able to trade it, but also to use it. How to buy PlatinCoin business-packages? PlatinCoin is released by the PLC Group AG in Zug, Switzerland. The coin is only available as a free gift, which is given to every purchased business-pack. The PLC Group has 4 patented technologies which will revolutionize the world of cryptoCoins. In terms of using PlatinCoin you can pay either online or offline. 20% of all earnings of the PLC Group will be invested in precious metals and another 20% will be invested into business shares. By using the PLC secure Box you will get 10% ROC in PlatinCoins each year. Have a look at the companies registration. PlatinCoin will be supported by a social network. Since the user community of the company is estimated to be a very attractive audience for advertisers, the PLC Group will pay you money for interacting on their social network. Whereas in other social medias the social network itself gets all the money for your activity, this modern system is fair and equitably. This is a win-win situation for everybody. Furthermore a marketplace will be established where customers can pay with platinCoins. You get commissions for each product sold to partners in your downline. All in all, building up a team will be very easy by inviting people to the social network. Everyone who is active at the network will be given a fair share of the profits made. PLC-Business is a Crowdfunding-Platform. On this platform you have the opportunity to decide which new and yet unknown companies you want to support. Due to your help they can start their business. Hence, a part of the profits successful joined ventures make will in return be used to support PlatinCoin. Furthermore it will be used to increase the income members of the network can earn. In order to participate at the growing market of cryptoCoins it is important to know as much as possible about the topic. For that reason the PLC Academy offers Business-Packages with online courses about investments in cryptosystems. Each of those packages includes coins for free. How many coins you receive depends on an internal Index of the PLC Group. Once you register for free at the PLC Group you are able to buy different business packages. The price ranges from 53,50€ to 1.070€. The packages include online courses, coins, advertisement points and votes for the crowdfunding. At 24th of march 2018, the PLC Grand Opening takes place in Dubai. In connection with this, we got some very great offers out there. You find them here. Since it is not possible to buy PlatinCoins directly yet, the packages and Tickets are the only possibility to receive coins and collect them while the value of the coins is expected to rise significantly. By the purchase of the smallest business package for the price of 5€ it is possible to invite other people to PlatinCoin and get a commission of 10% on each direct partner (first liner). By building your team and increasing your volume you can earn commissions on up to 11 levels. (10%,4%,5%,6%,7%,1%,1%,1%,1%,1%,1%,). Additionally, there is an one time payment for achieving special ranks by cumulating a specified volume. For those who build up a team with a volume of 5.000€ in the first 30 days there is an extra commission of additional 10% for up to 10.000€. So you get a bonus of up to 1.000€ in the first month. Summing up my experiences with PlatinCoin: I got really thrilled by the vision and the communication of the company by now. Although I joined the company only 3 months ago I am very involved and happy to have such a nice team of people who are motivated to share a big vision. Comparing to other networks I tried before, this one is different. It was easy to talk to others about the topic. Hence I built up a team of over 100 direct teampartners in a short period of time and in fact 300 partners in my whole structure already. Since I support my partners the best I know a few of them will soon be as successful as I am. It seems like all that it takes is a sponsor who supports you and shows you how easy it is to talk about a network with such an incredible perspective. The people out there know about the great chances of the cryptomarket and PlatinCoin. That’s why my business grows and grows. That’s your chance! Register for free at my PlatinCoin Team. Learn how to build up a great downline and get the full control over your earnings. the listing will be at 30th of march 2018. It’s not announced, which exchange it will be, because the policies of many exchanges deny this.